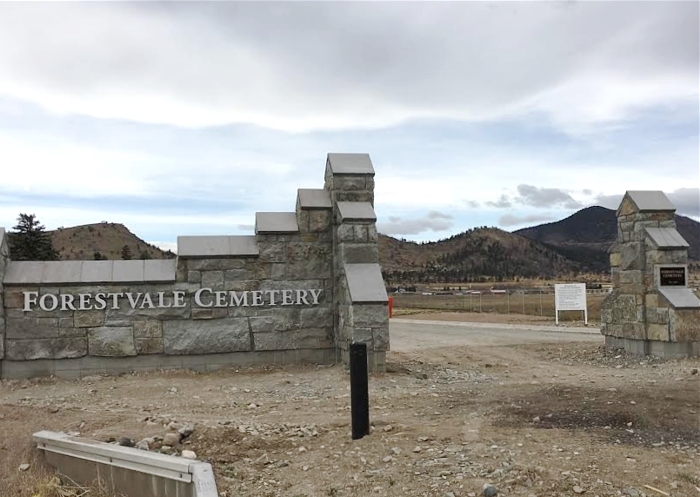 Founded in 1890 as the Helena Cemetery, Forestvale Cemetery occupies 150 acres (according to current tax records) in the Helena Valley. 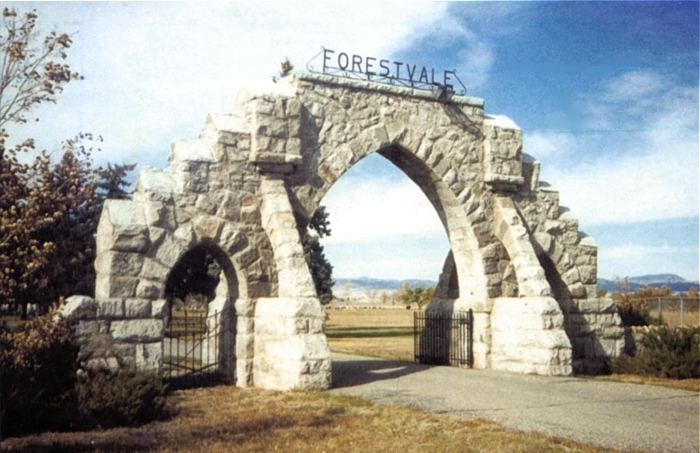 The name was changed to Forestvale in 1901. 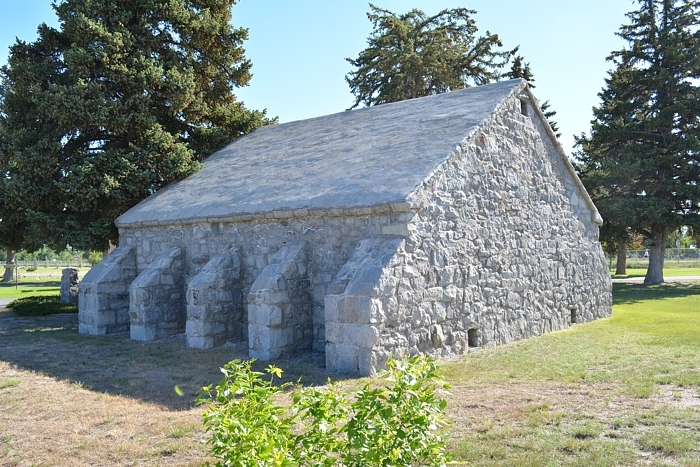 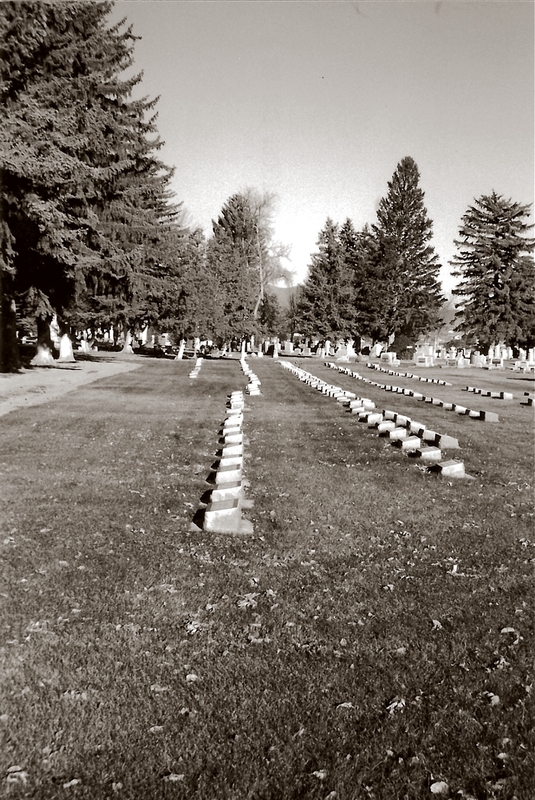 There are over 14,000 individuals buried at Forestvale, including many notable Montana pioneers. 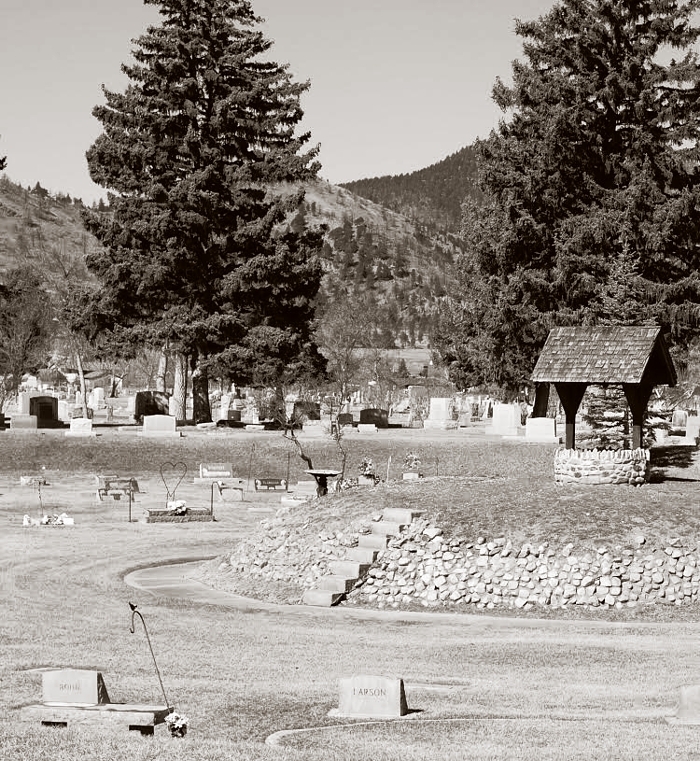 It is also the final resting place of motion picture star Myrna (Williams) Loy, a Helena native. 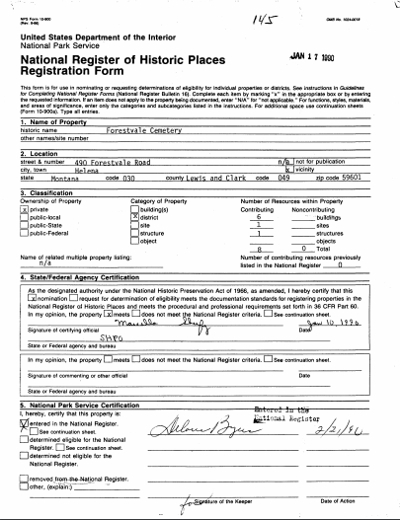 The documents listed as sources for the information presented here are available for download and/or linking at the end of this feature. 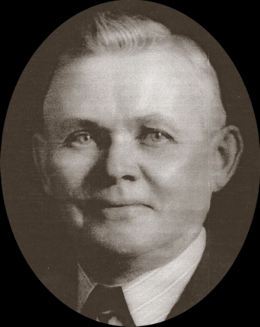 Paul S. Paulsen, a native of Denmark, was the caretaker at Forestvale from about 1912 to his death in 1952. 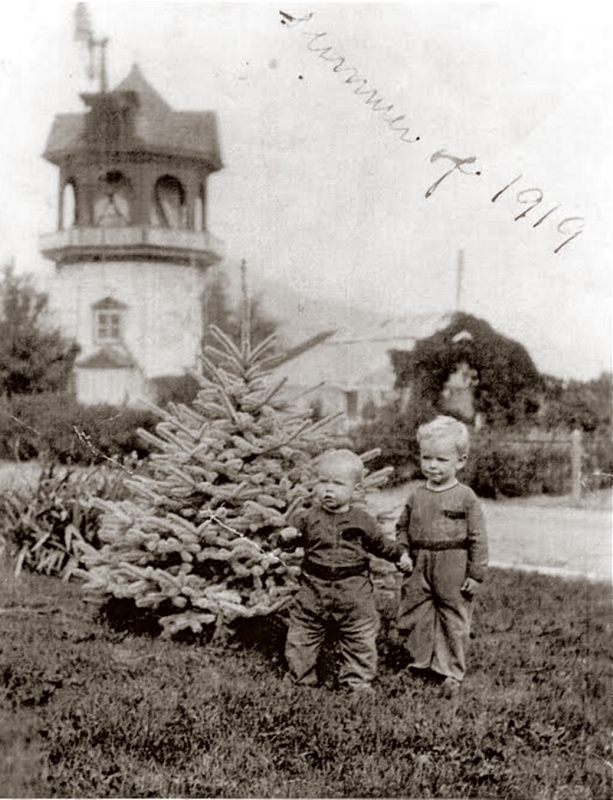 Many thanks to his grandsons, Paul E. Paulsen Jr. and Guy Duncan, for arranging the scanning and forwarding of many of the photographs for this feature. 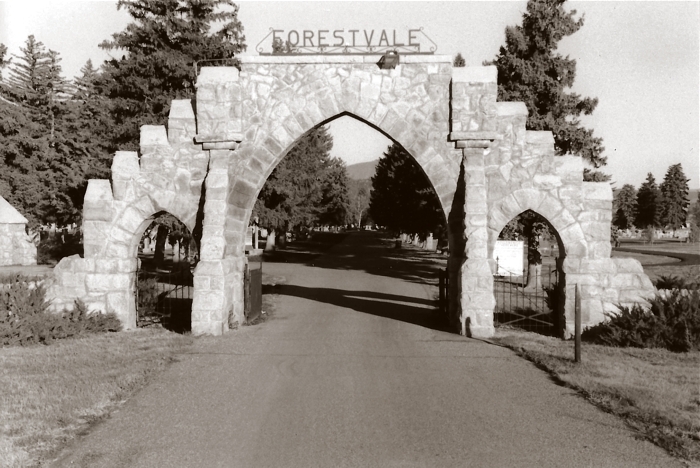 And of course, special thanks to Forestvale Cemetery for making the photos available. 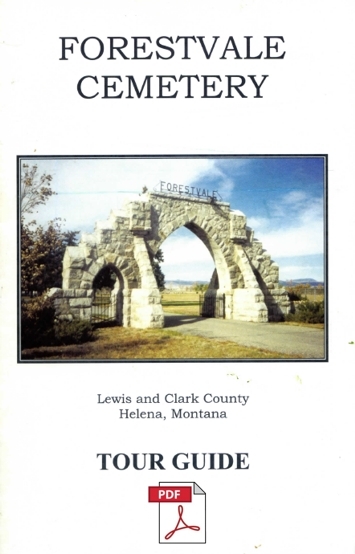 Thanks also to Helena historian and author Charleen Spalding for her Forestvale photos and invaluable information. 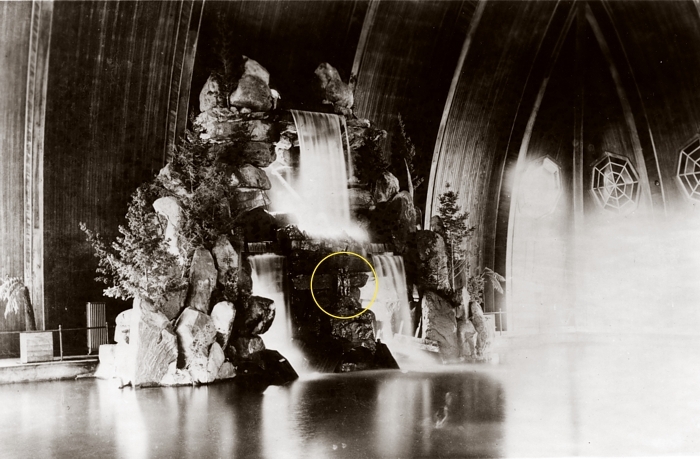 Forestvale was designed by Vermont native Harry Vespasian Wheeler (1850-? 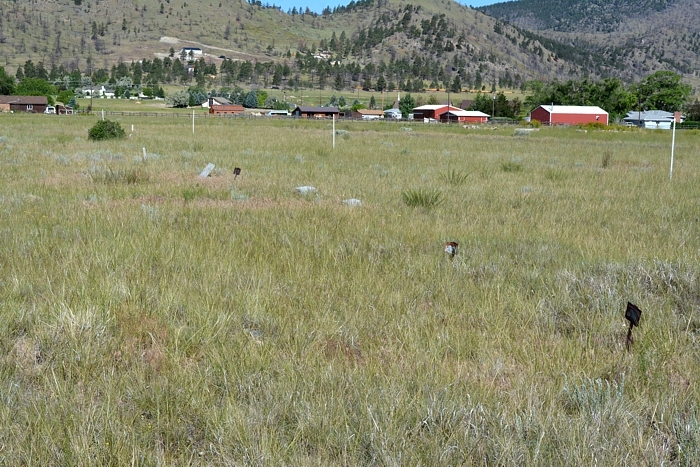 ), a civil engineer working in Montana. 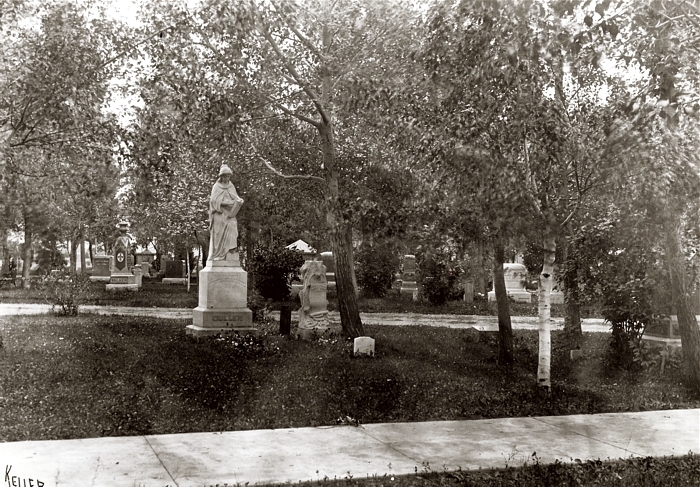 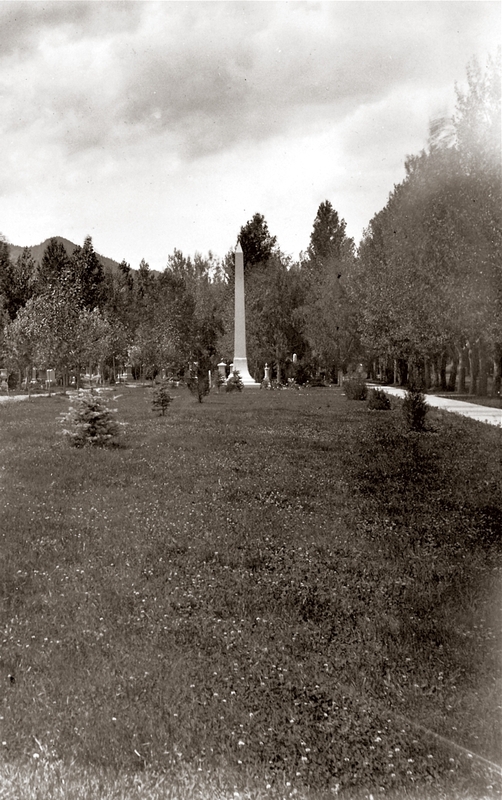 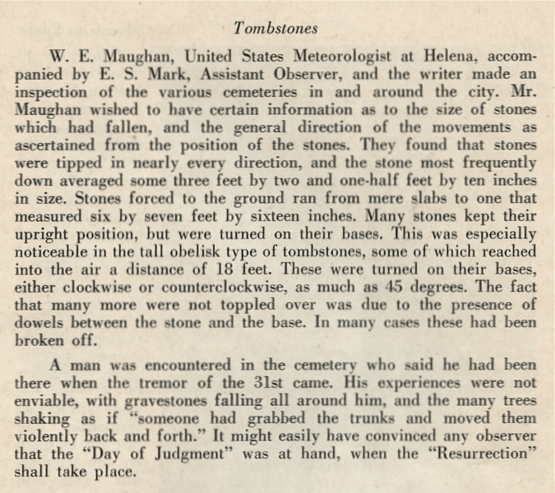 He also laid out Missoula's City Cemetery in the 1880s. 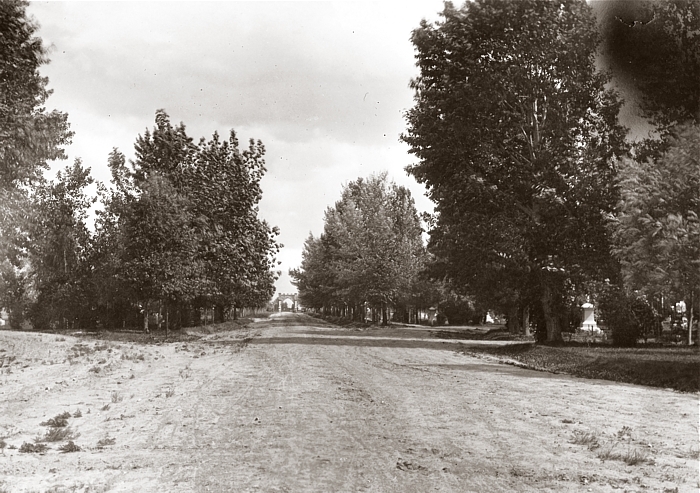 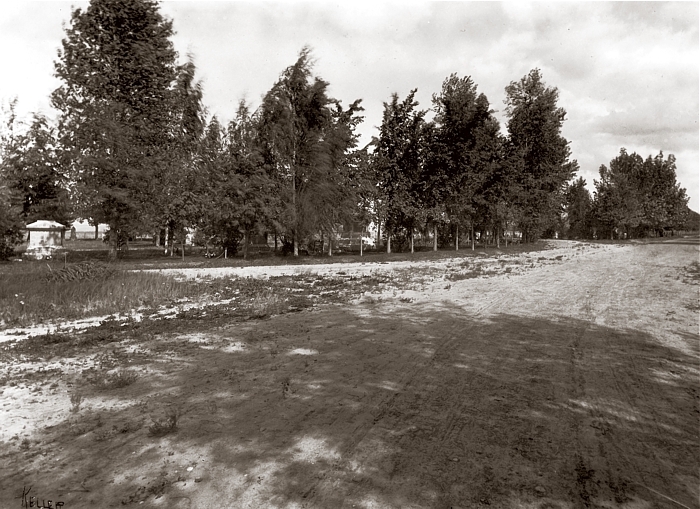 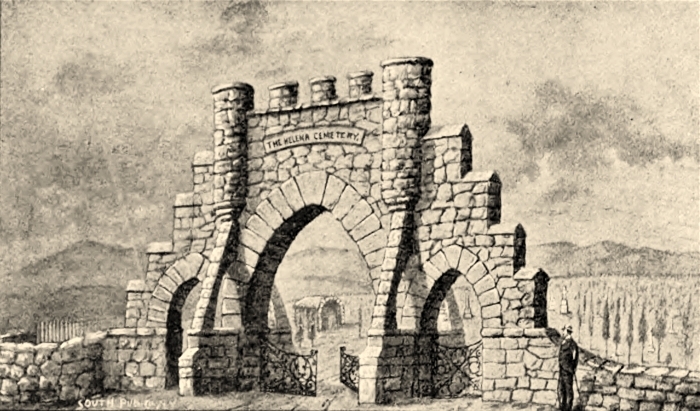 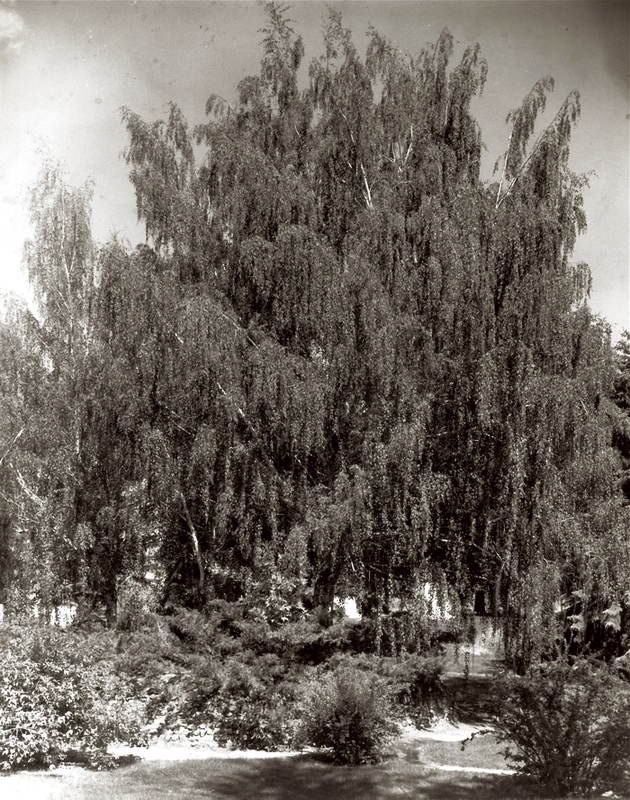 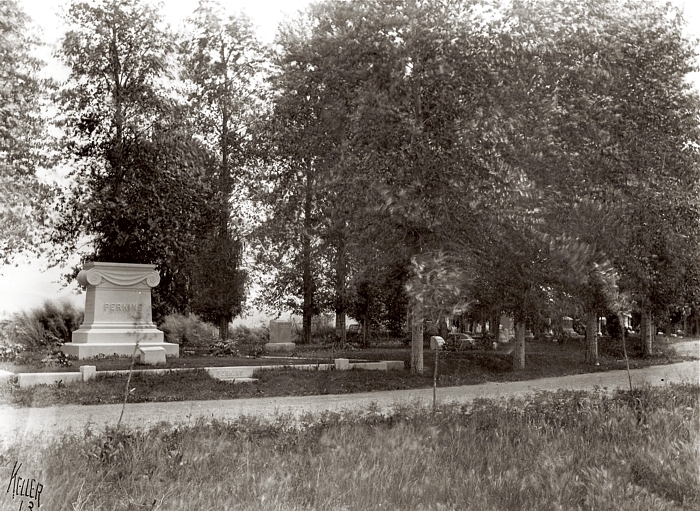 Forestvale's design, featuring curving roads, a water feature, and abundant plantings, was part of the "garden cemetery" or "rural cemetery" movement of the 19th Century. 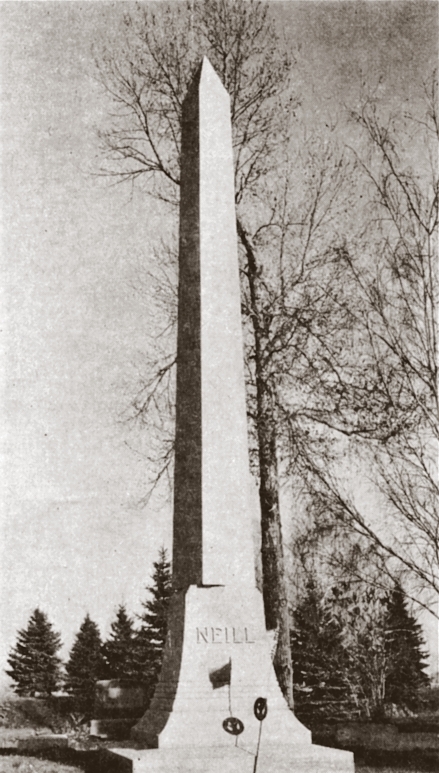 Read more about it on Wikipedia. 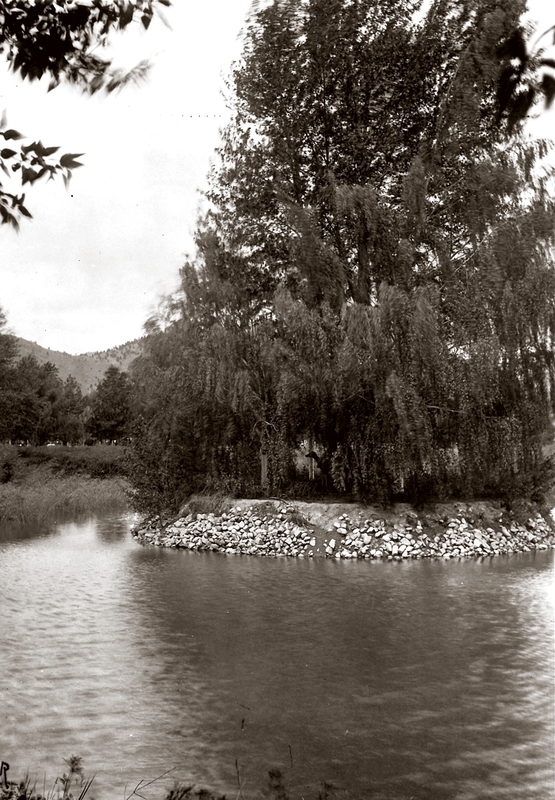 Wheeler lived in Southern California both before and after his years in Montana..
Only one lake of the two proposed was dug; it has been dry since about 1920, and in the 1930s was given over to burials. 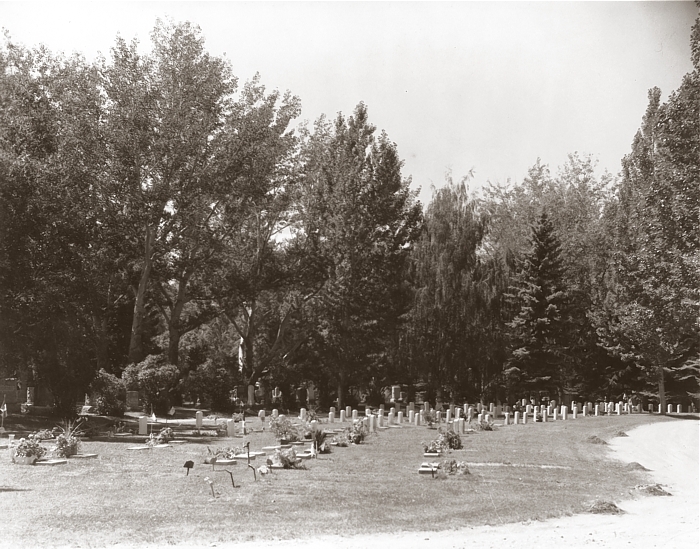 It was informally called the Sunken Garden, and is now known as the Arbor Garden section. 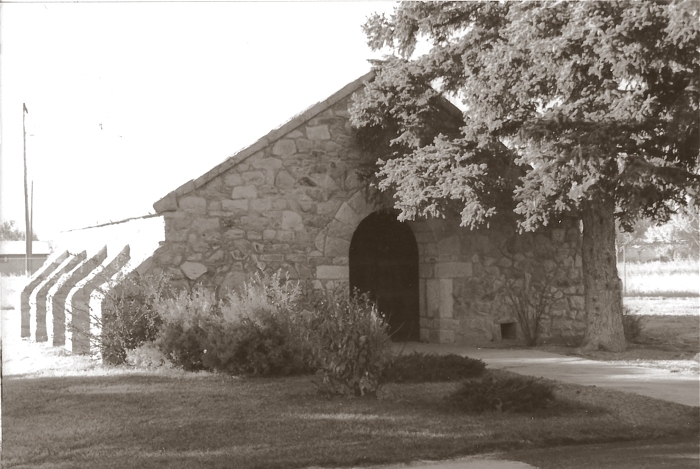 Also never constructed was the chapel, meant to be next to the receiving vault, near the main gate. 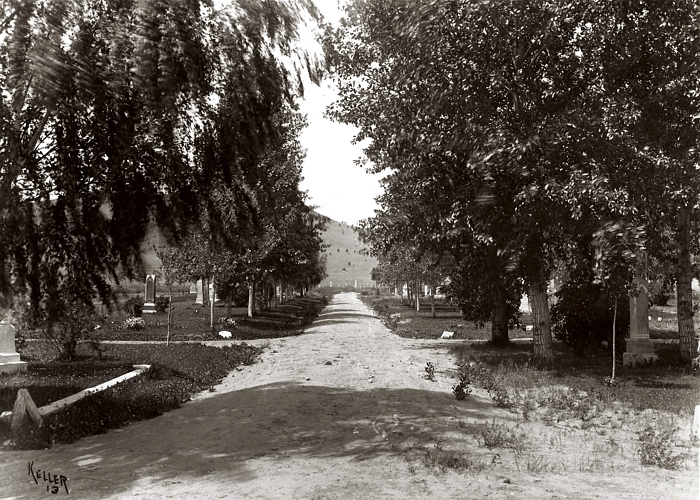 According to another 1890 article in the Independent, the road leading to the main gate of the new cemetery, now known as McHugh Lane, was to be named Winnie Boulevard. 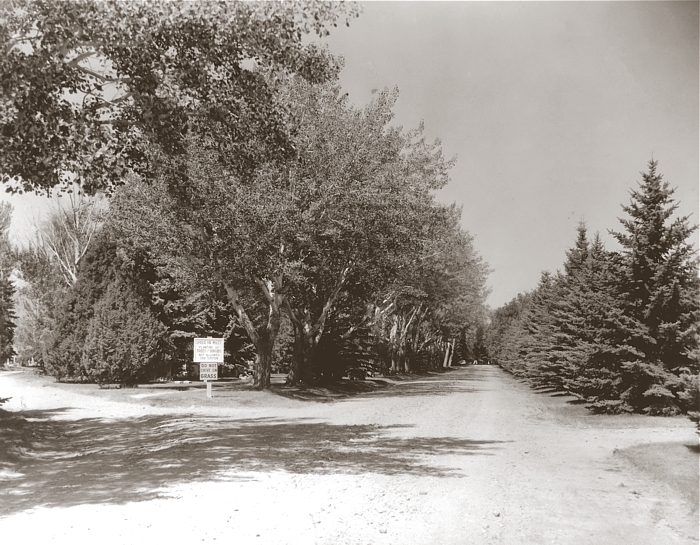 No further mention of that name in connection with the road was found in newspaper archives. 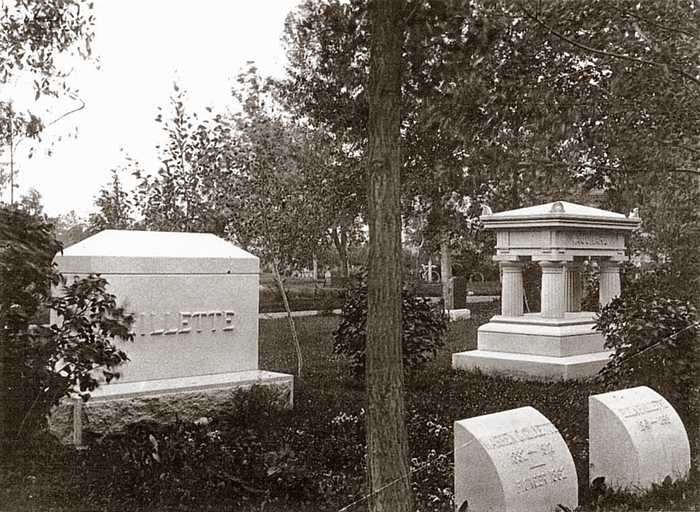 On November 8, 1891, James E. Binford, from Marysville, was the first person recorded to have been placed in the vault. 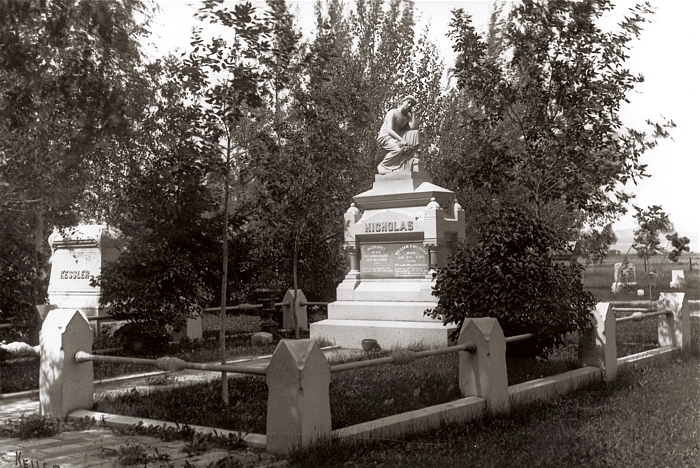 He is buried in the Glendale section of the cemetery. 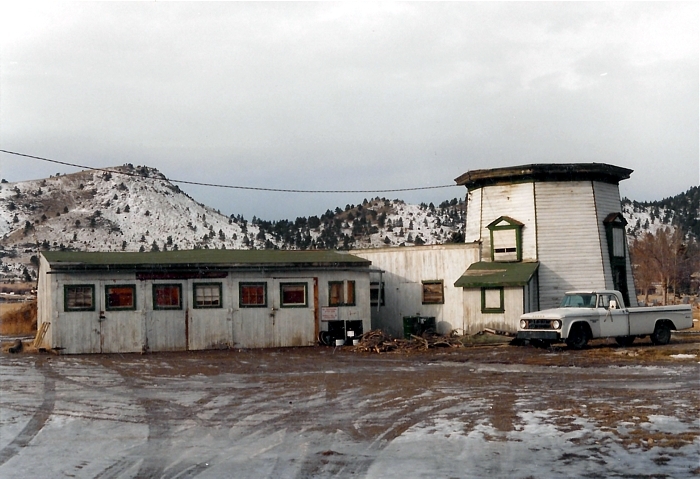 "The office was erected during the 1890s and is a small gableroof, blonde brick building. 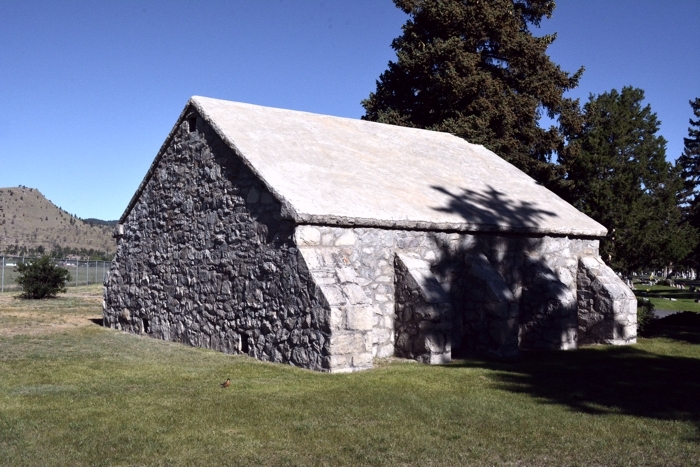 The gable ends are clipped and the roof is covered with deteriorated wooden shingles. 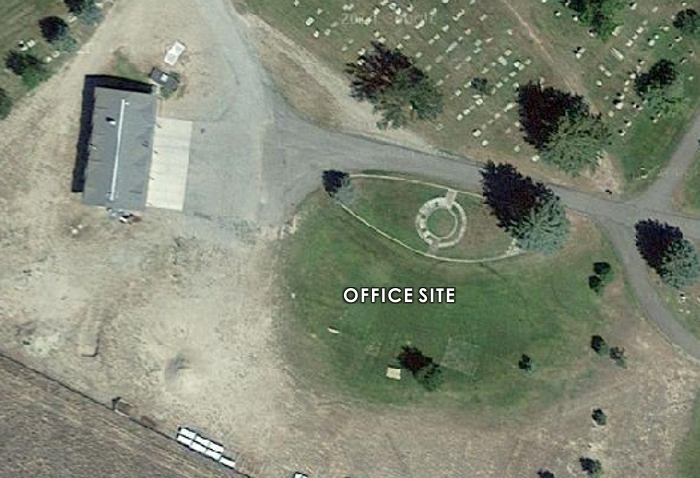 The office has not been used in a many years and is in poor condition. 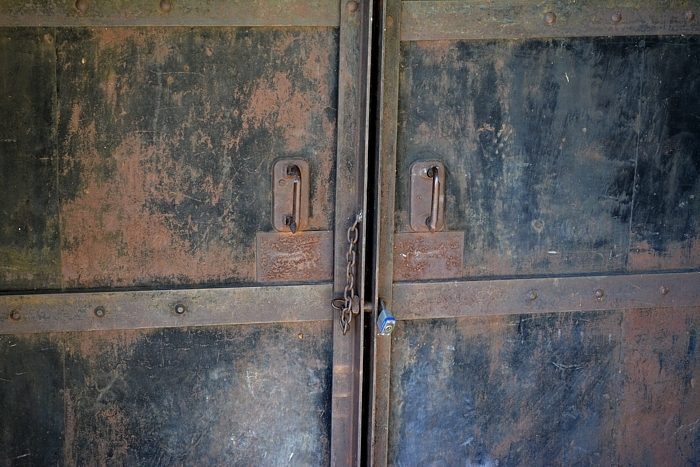 The windows are blocked with plywood. 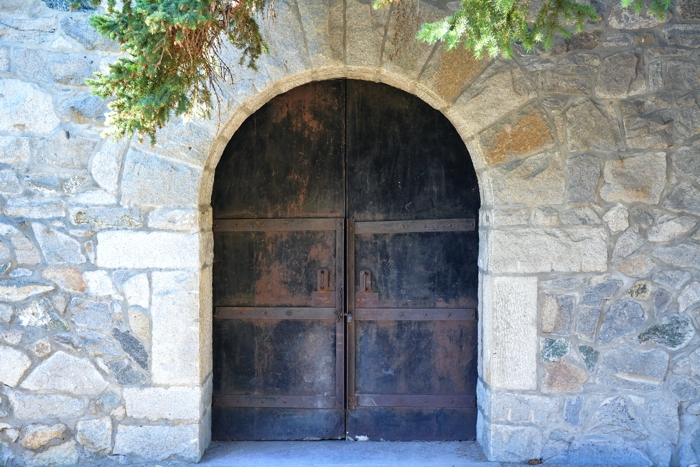 A small wooden awning covers the entrance stoop." 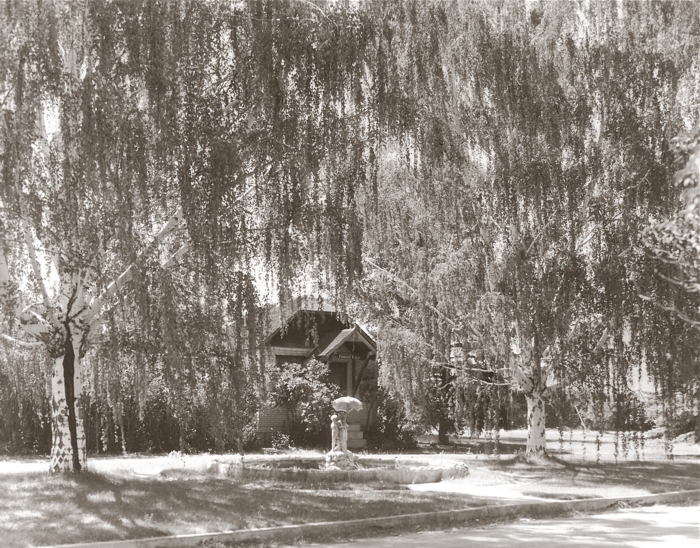 The building has since been torn down. 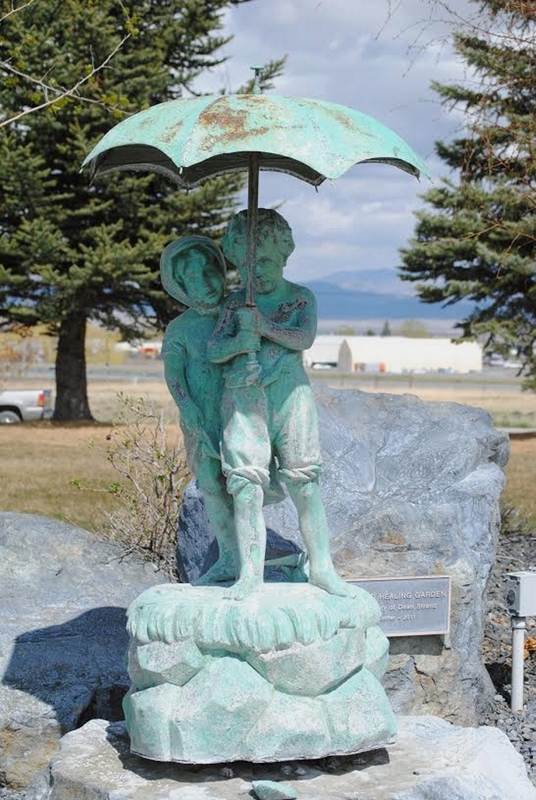 A fountain featuring a sculpture of two children, one holding an umbrella, was in front of the office building. 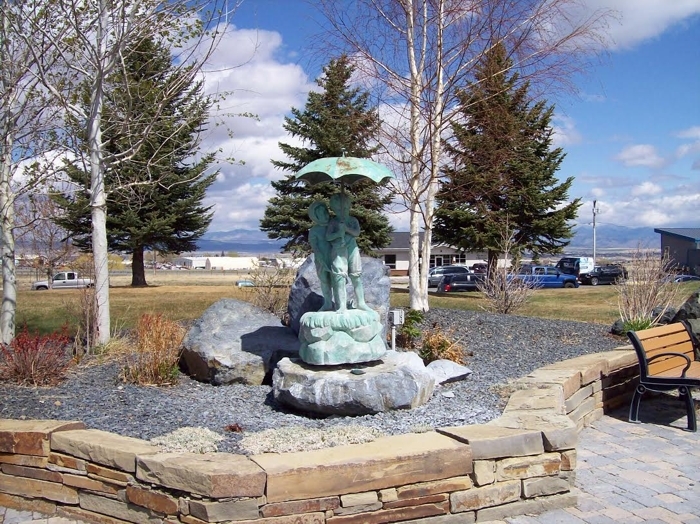 The sculpture is now at Shodair Hospital in Helena. 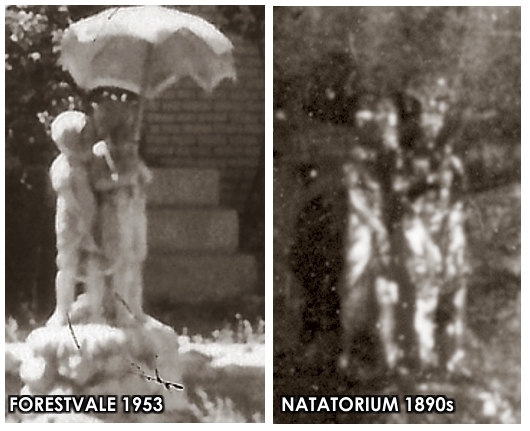 Was This Fountain in the Broadwater Natatorium? 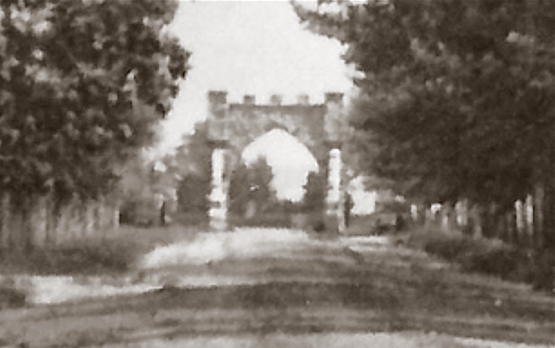 In the background can be seen what are thought to be greenhouses, possibly constructed after 1909 by local florist Henry Winter, who was the majority shareholder and manager of Forestvale from 1909 to 1919. 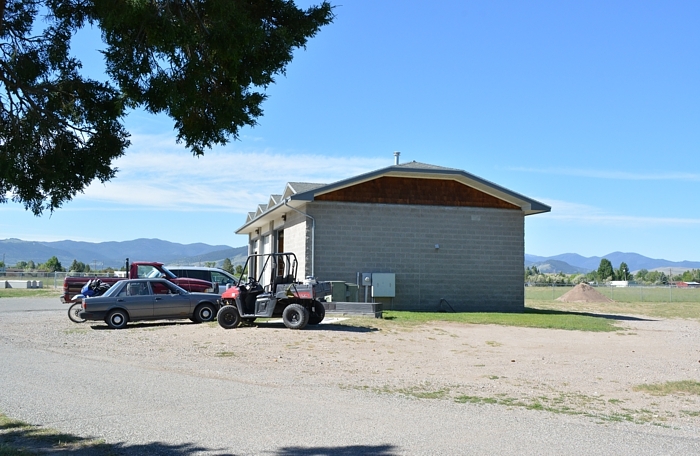 The wooden garage and shed have been replaced by modern utility buildings on the same site. 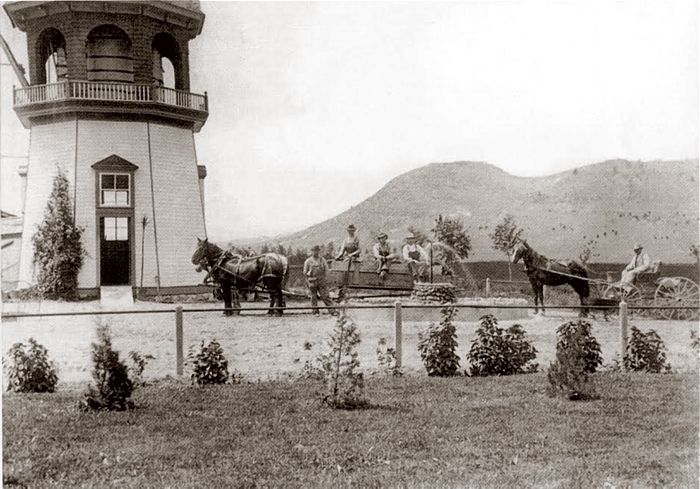 All traces of the windmill are gone. 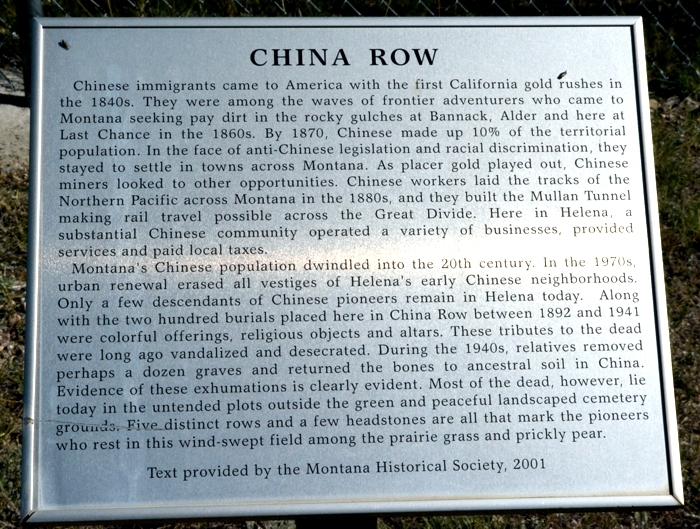 Located just north of the Lakeview and Glendale sections of Forestvale is "China Row". 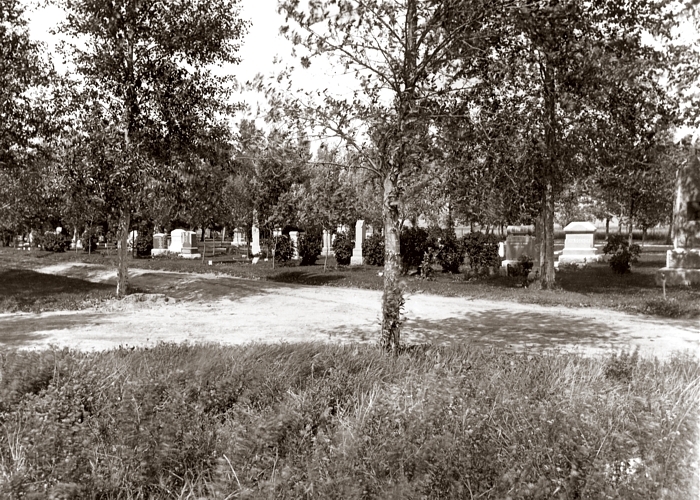 Between 1890 and 1955, over 200 Chinese individuals were buried there. 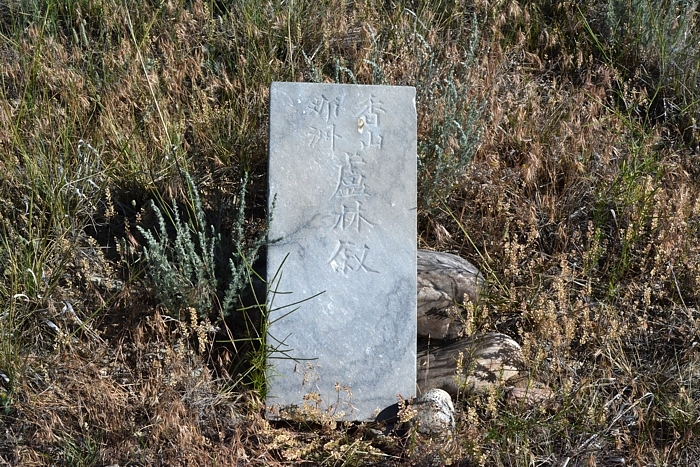 The site includes a few headstones bearing the name and place of birth of the deceased, written in a mixture of English and Chinese characters. 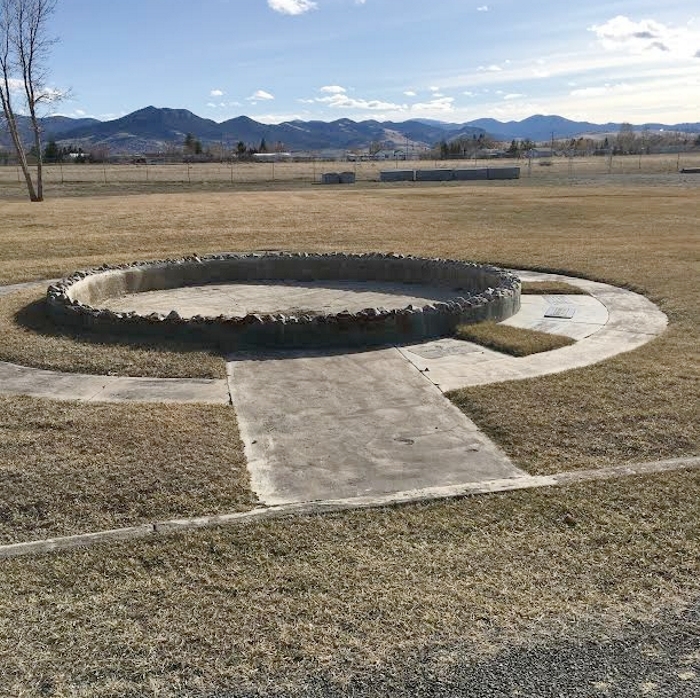 In addition, the area has a partially intact brick funerary burner used by the Chinese to honor their dead through various cultural rituals. 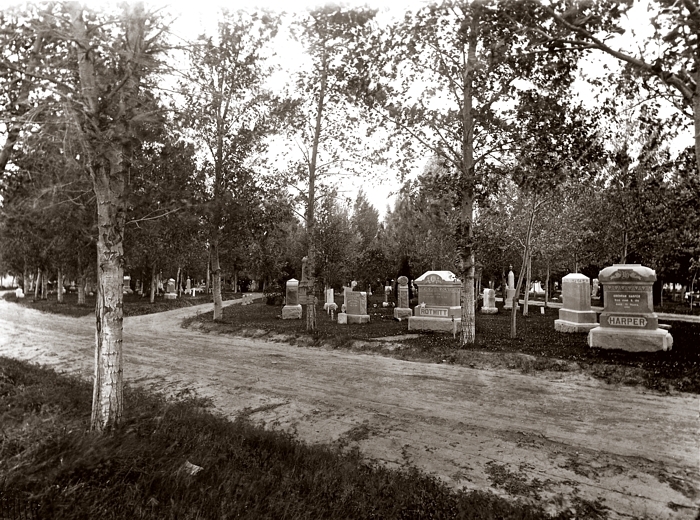 "At the northwest corner of the cemetery grounds, a small burial ground for Chinese persons was set aside during the 19th century. 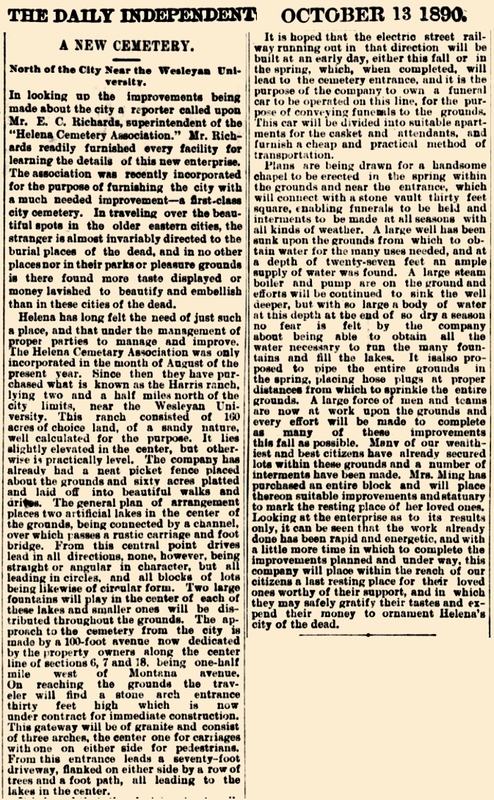 Within 'China Row', at least 130 burials occurred between 1890 and 1929. 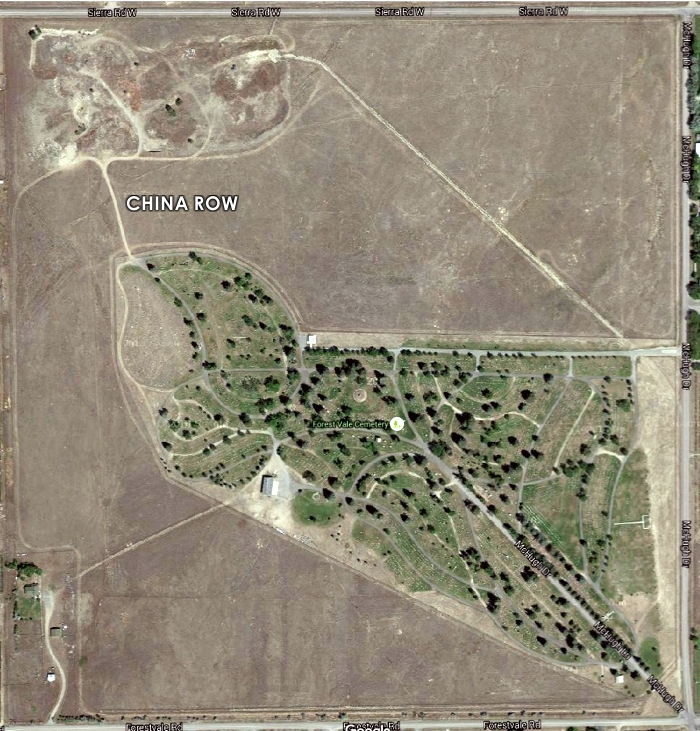 After 1930, an additional 23 burials occurred in 'China Row', and seven Chinese persons were buried in other parts of cemetery, including the six members of the prominent Wong family who were buried in the Mountain View and Davidson sections of the cemetery during the late 1940s-1980s. 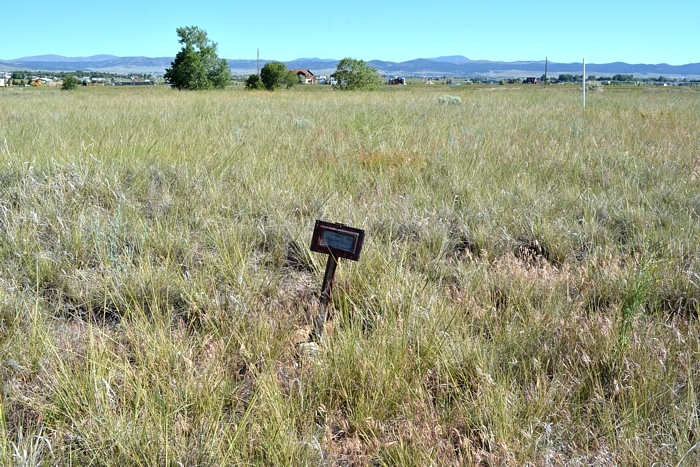 The last burial recorded in 'China Row' occurred in 1955.
graves in this area may have been disturbed. 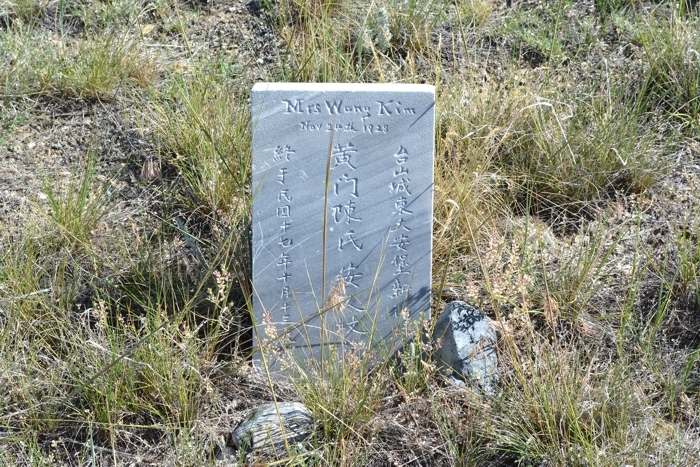 Only nine marble headstones remain in the 'China Row' section, although a number of deteriorated and illegible wooden and metal markers may be found in the vicinity amidst the overgrowth. 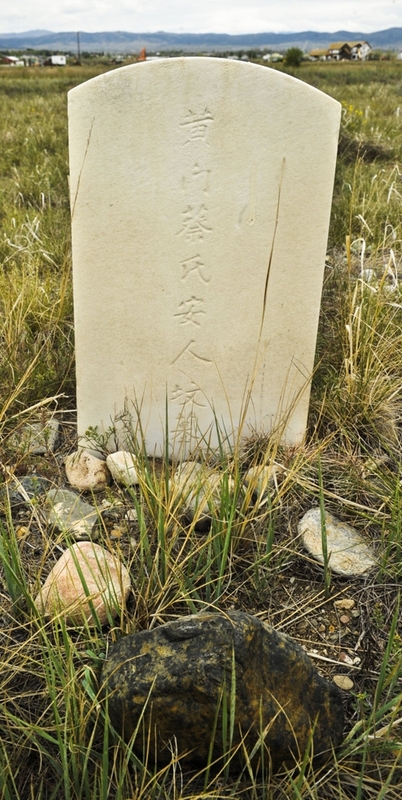 The inscriptions that note the village and county of origin of the deceased are in the Pinyin system and mark the graves of eight men and one woman, most of whom came from the Tai Shan area. 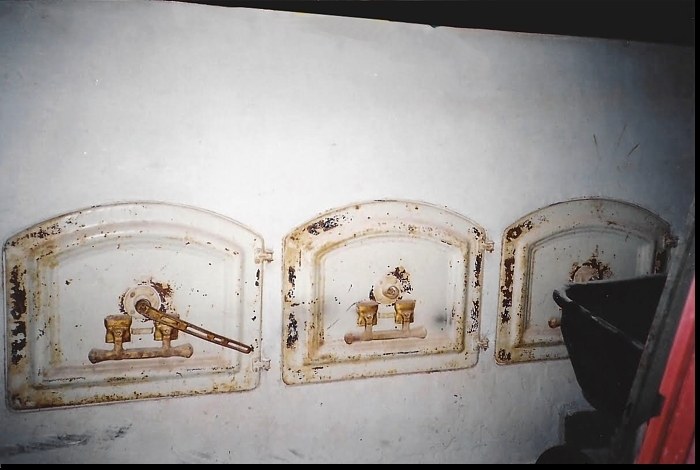 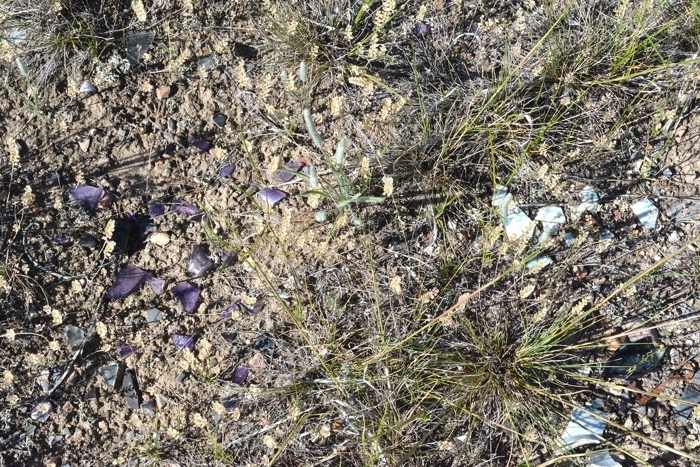 The remains of a brick oven are found amidst a heavy scatter of glass, metal clasps, buttons, and other distinctively Chinese artifacts such as bits of opium pipes and celadon porcelain in the 'China Row' section. 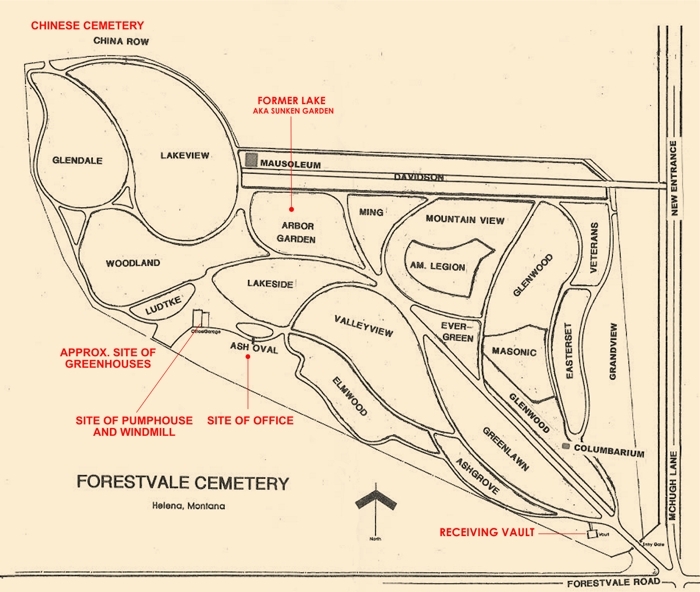 Apparently as part of the Chinese funeral services, food would be prepared and cooked at the cemetery and placed as offerings on the graves of the deceased."